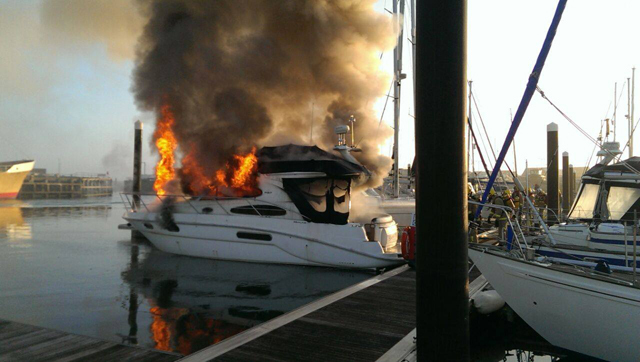 An investigation is under way after a fire destroyed a motor cruiser in a marina in Lancashire. 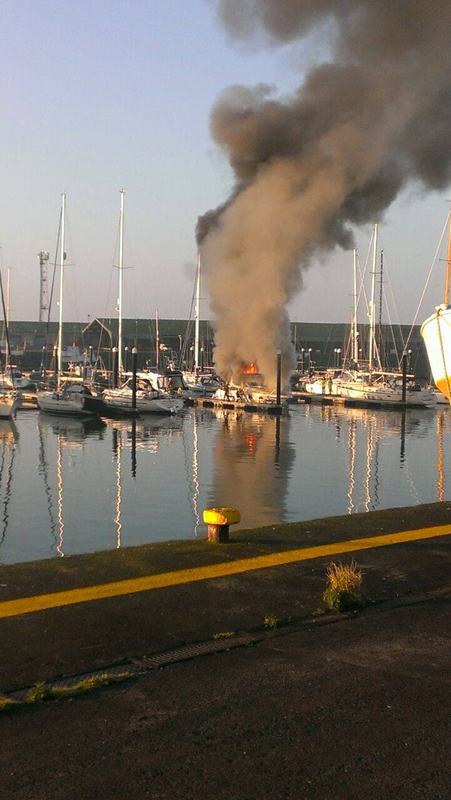 The Fleetwood Coastguard team were paged at 07:50 on Sunday, 15 February, morning with reports from Holyhead Coastguard MOC that a vessel was on fire in the docks at Fleetwood. The team attended the scene to find that Lancashire Fire & Rescue Service firefighters tackling the fire on a motor boat, which was well alight within the cabin. Due to the location of the vessel, tied to a pontoon in the middle of the dock, as well as the nature of the job, LR&S requested for further assistance and declared an major incident which resulted a total of seven fire appliances and a mobile control room. A spokesman for HM Coastguard Fleetwood said: ‘Getting water to the stricken vessel also proved difficult along with access on several narrow pontoons. 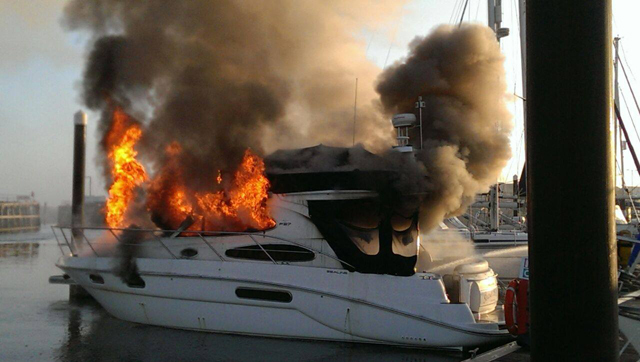 ‘Thankfully, no one was aboard the boat and other vessels were removed from the area to prevent any further damage. Fleetwood Coastguard prepared to launch a pollution prevention boom around the boat to prevent any contamination, however, following discussion with the port staff and LF&R, as the fire was out the boat was towed into the dry dock. The spokesman added: ‘With thanks to Lancashire Fire and Rescue, it was a difficult job, and thanks to Fleetwood Port staff for their quick response and assistance. A Lancashire Fire and Rescue Service spokesman said: ‘The boat was 50% alight when firefighters arrived and began tackling the fire. In total six firefighters wearing breathing apparatus brought the fire under control using jets and a hose reel jet.